Jakey cat died last night. We had to have him put down. He had a spinal injury and with his age and diabetes, his chances of recovery, after what would’ve been a difficult and long treatment, were slim. He was 10 years old. We miss him very much. 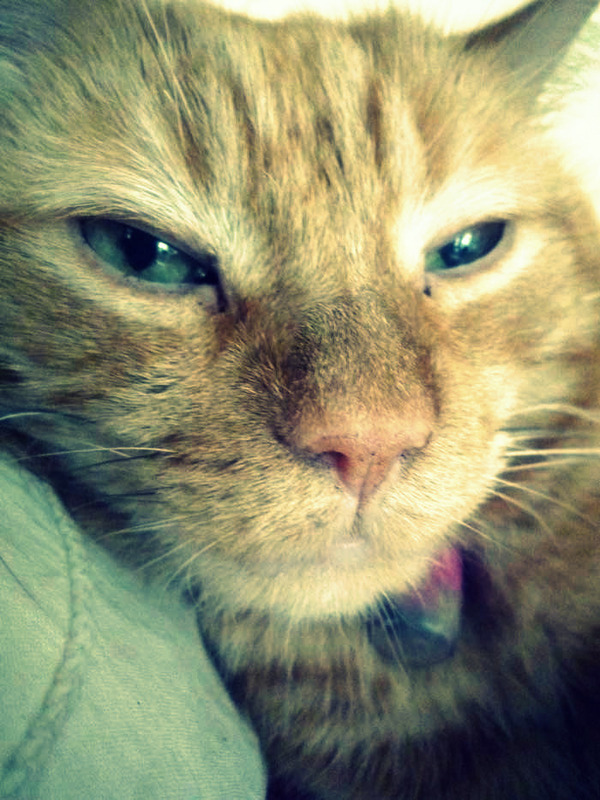 Our affectionate ginger furball with his powerhouse purr and his penchant for licking. When Paul took him to the vet, we thought it might be the last time we saw him so we said goodbye. Jake and I kissed him on his sweet furry head. That’s all I want to say right now. For once, I find words no comfort at all. Goodbye Maximus Gingerpuss. You were a wonderful cat. Lots of love, Heartful. 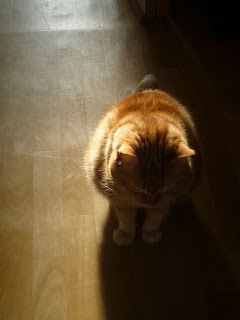 We lost our moggy last year. I still hear her making her 'frrt' noise around the house. I'm sorry for your loss. Cats curl up in our hearts and make a warm nest there. It hurts to lose them. I'm so sorry to hear about your kitty. Find comfort in your memories and that you gave him a really good life. Tammy, I am almost crying when I read this. I know how much you love him. Big hug. Love.